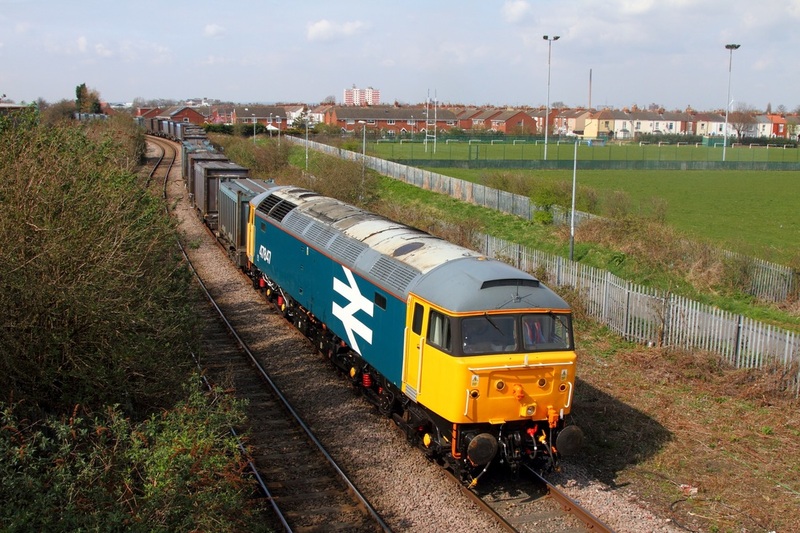 Large Logo liveried 47847 works the 4D94 Doncaster to Hull at Southcoates lane, Hull on the Hull Docks branch on the 8th April 2015. 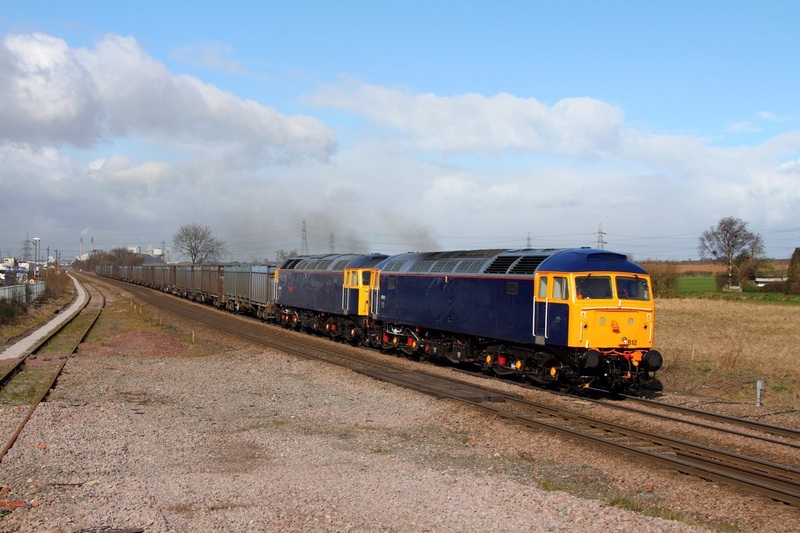 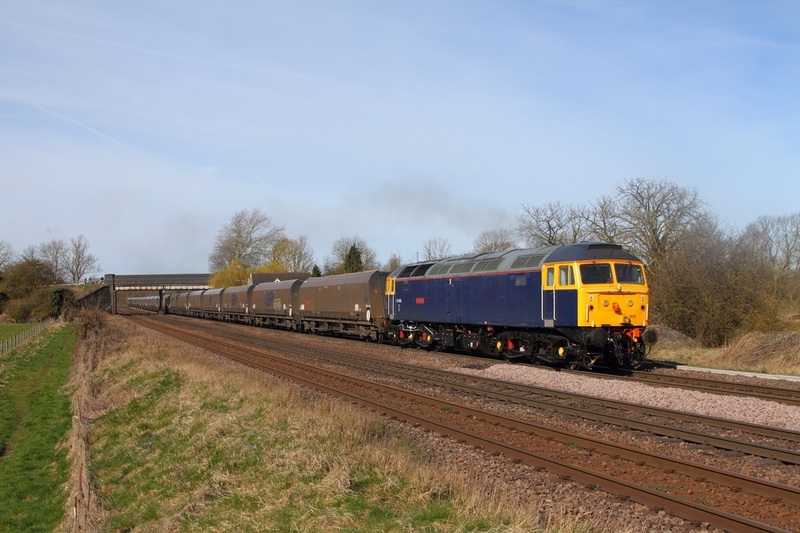 Riviera Trains' liveried 47843 Vulcan leads the 4R63 0800 Doncaster Decoy to Immingham Docks at Melton Ross, New Barnetby on the 2nd April 2015. Riviera Trains' liveried 47843 Vulcan powers the 4D16 1200 Immingham Docks to Doncaster Decoy at Melton Ross limeworks on the 2nd April 2015. 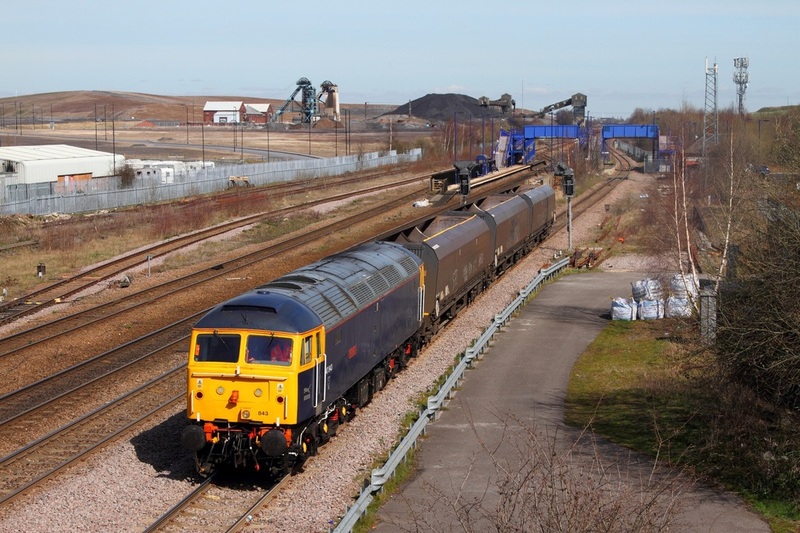 Riviera Trains' liveried 47843 Vulcan powers the 4D16 1200 Immingham Docks to Doncaster Decoy at Hatfield and Stainforth on the 2nd April 2015. 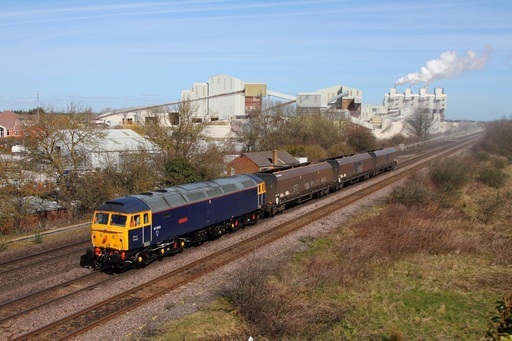 With the light angle being marginal, Riviera train's liveried 47812 leads 47843 on the 4D93 Doncaster to Drax at Whitley bridge on the 1st April 2015.